Does Your Toddler Have Too Many Toys? CornerStone Academy > Does Your Toddler Have Too Many Toys? There are toys everywhere when you live with toddlers. There are toys outside and inside and in the living room, bedrooms, bathrooms and every other room imaginable. Does your toddler have too many toys? Toys can spur imagination and be educational too. Toys do offer some value to small children but if your toddler has too many toys it can become a problem. For one, less toys actually encourages more imagination. 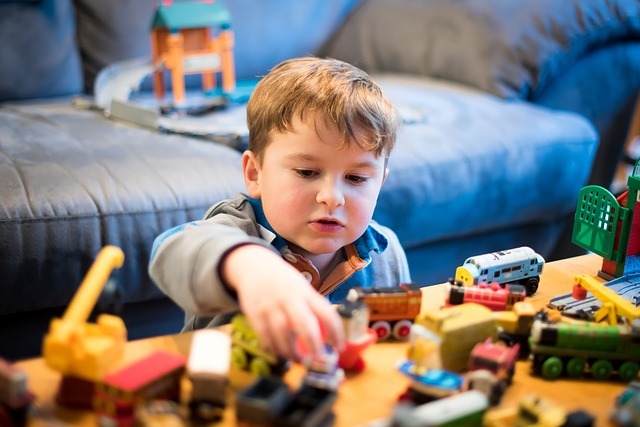 Children who do not have as many toys will start to incorporate other items and their surroundings in their playtime instead of relying on their various toys and features. Also, if you have multiple children, there tends to be less fighting and arguing over playing with toys if there are less toys. You would think it would be the opposite but research has shown that children with less toys are more likely to share and cooperate with their siblings and friends. The more toys a toddler has the more they will negatively impact his or her attention span. If a child has multiple toys at their disposable they’ll never be satisfied with just one toy or activity for too long. The solution to reducing the number of toys in your home is to donate some of the ones you already to own to charities and then to purchase experiences and tickets for children for gifts instead of more toys. Seasonal or annual passes to the zoo, museum or another local business specializing in entertainment for children. Tickets to a professional sporting event or tickets to a movie or concert. Tickets for a train ride or a boat ride. Classes to learn karate, piano, swimming, etc. If you do want to purchase items for your child instead of activities that aren’t toys, consider purchasing books, DVDs, décor, clothing, board games, sports equipment or a magazine subscription. Toddlers do not need an entire playroom or bedroom filled wall-to-wall with brand new toys. A handful of toys is enough to spur imagination and provide the playtime needed for a growing toddler. Instead of toys, invest in activities, experiences and education. Cornerstone Academy combines play and education throughout our curriculum and in our child care program. Learn more about enrollment opportunities.